A small-batch version that doesn’t beg to be chugged by frat boys. 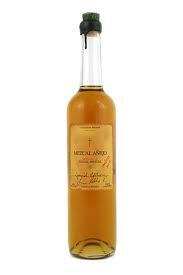 Contrary to its name’s licentious implications, Ilegal Mezcal is one of the few intoxicating exports from Mexico that isn’t illegal. The cheeky branding is actually just an homage to New York-born owner John Rexer’s days hustling back and forth across the Mexican border while looking for spirits to stock in his tequila bar in Guatemala. Though perfectly legal, Mezcal has always enjoyed a guilty reputation stateside. The smoky godfather spirit of tequila, made from a variety of the agave plant that grows in the Oaxaca region of Mexico, has long been thought of as gasoline booze dare-chugged by college kids on spring break. That perception has rightfully matured in recent years, even if some of the frat boys haven’t.